NSW Department of Primary Industries (DPI) olive oil testing team has been rated one of the world’s best after almost two decades of accreditation by the International Olive Council (IOC) in Madrid. 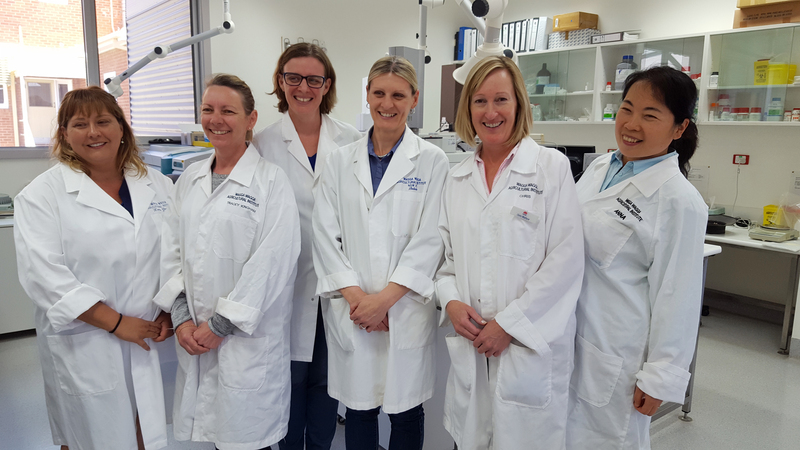 NSW DPI laboratory services coordinator, Belinda Taylor said the Wagga Wagga facility has been awarded international accreditation in laboratory analysis for 18 consecutive years and for the last 12 years in the sensory classification of olive oil. “The only laboratory in Australia accredited by the IOC for chemical and sensory analysis, NSW DPI’s Australian Oils Research Laboratory, is also accredited by the American Oil Chemists’ Society (AOCS) for both types of analysis,” Ms Taylor said. “AOCS has further recognised the team with awards for chemical and sensory analysis. “This huge achievement is a credit to the hard work and diligence of the team in ensuring the laboratory and sensory panel maintain a high level of skill and accuracy. Australia produces some of the highest quality extra virgin olive oil (EVOO) in the world and local producers have won gold medals at the prestigious New York International Olive Oil Competition. NSW DPI sensory panel leader, Donna Seberry, said the panel is accredited to classify EVOO and virgin olive oil, with more than 30 members trained by DPI staff at the Wagga Wagga Agricultural Institute. “Sensory panels classify olive oil by taste and aroma for qualities including fruitiness, bitterness and pungency,” Ms Seberry said. “The panel is trained to detect any defects which could downgrade the oil, including rancid characteristics. “EVOO is a premium product and consumers should feel confident that the product they are buying has met the strict standards set by industry bodies, such as IOC and AOCS . The sensory panel is always looking for new members and any interested volunteers should contact NSW DPI, wagga.labs@dpi.nsw.gov.au and (02) 6938 1999. MEDIA NOTE: Interviews and vision of laboratory and sensory analysis a can be organised by contacting Bernadette York 0427 773 785.